Peggy asked earlier this week about my stash. Here it is! Most of it is stored in these baskets from Ikea. 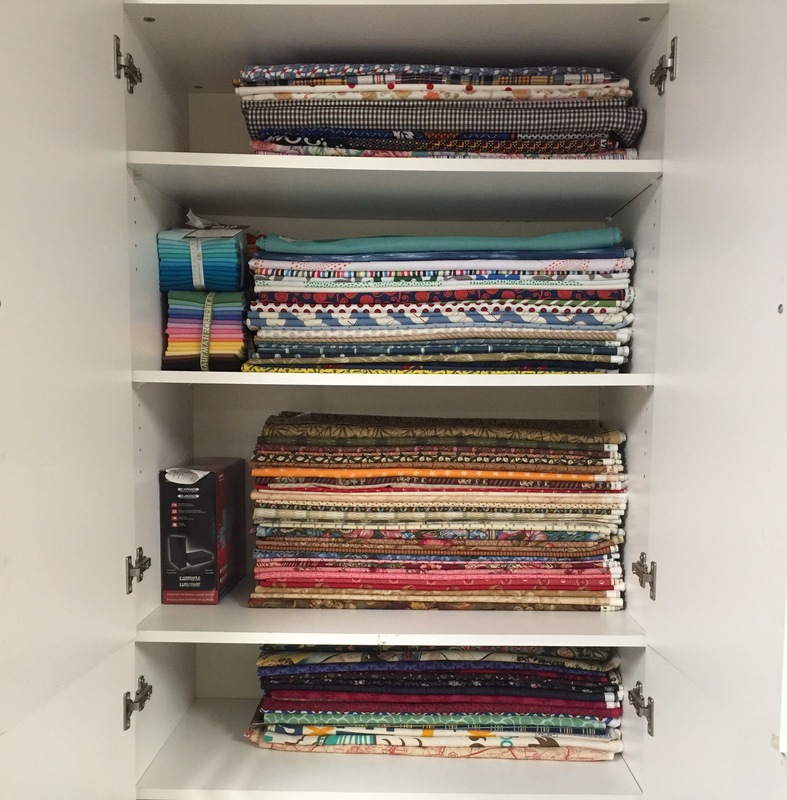 This is my layer cake stash along with some fat quarters and fabric panels. Here are my charm packs and some FQ bundles. I keep these bolts under the cutting table. It seems like a lot, but eventually, it all finds a home! Hold the presses! I just got an email to let me know that Accuquilt has some studio dies for 60% off! I have my order in as several items on my wishlist are on sale. They also have GO! dies up to $10 off. Click here for the deals! This post contains affiliate links, and I receive a small compensation for any purchases made through them. Thank you for your support! 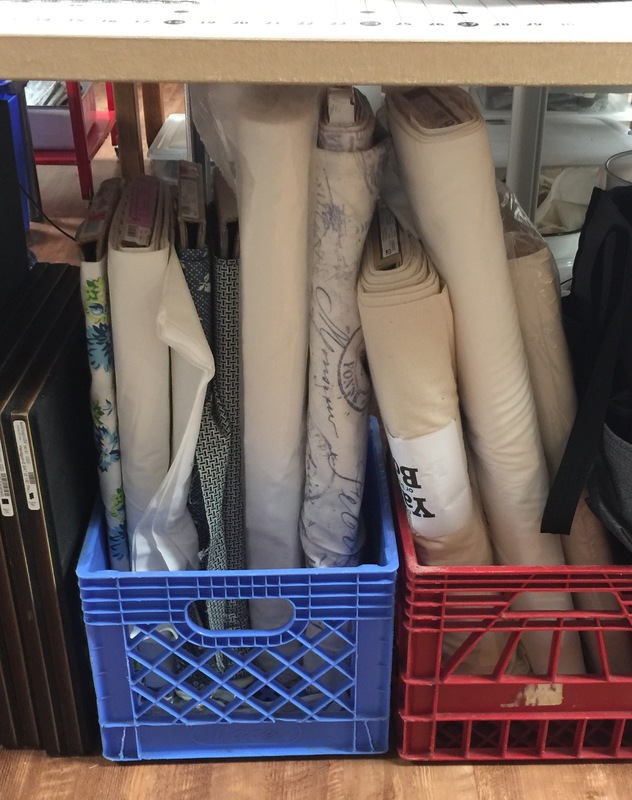 This entry was posted in Fabric, Storage, Uncategorized. Bookmark the permalink. 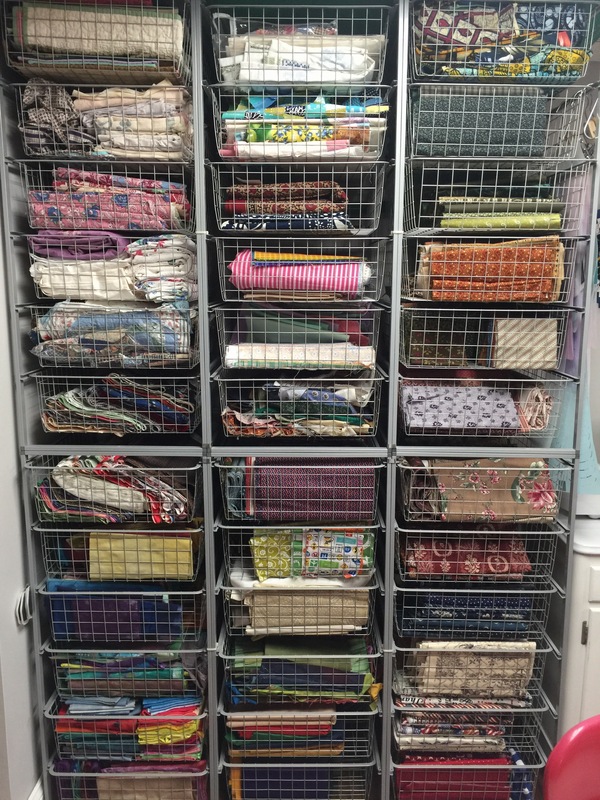 That is some amazing fabric organization you have, Katy!! I actually thought I was fairly organized until I saw your post…. But there is always room for improvement…. You have inspired me to do make just a few changes! Thanks!!! I have some serious organization envy! You are so organized! I am so jealous! So organized! You put the stacks of QOV fabric on the sofa in my sewing room to shame! I just have to ask…what is a “done” FQ bundle? Meaning it is organized? You are so organized. I have container envy over your storage ideas.